I found my professional calling in Finland as a corporate trainer and English teacher. In New York I worked in sales at various large companies and learned early on that selling anything to anyone meant quickly establishing credibility and likeability. You had to know your stuff and develop rapport. That meant engaging in small talk. You could talk about the weather, children, spouses, sports or politically neutral current events. In Finland, however, I found that despite their fluency in English many professionals rarely mastered the social art of small talk. Finns are fairly direct in how they communicate with each other and this is a cultural distinction appreciated within the confines of Finnish culture because it is raw, honest and lacks pretence. This cultural trait, however, often fails to resonate with cultures that rely on the delicate use of language in communication. As a trainer I was impressed at how well Finnish professionals were able to articulate themselves in English. Their grammar was nearly flawless. Despite accents their pronunciation was clearer than many other nationalities who spoke English as a second language. 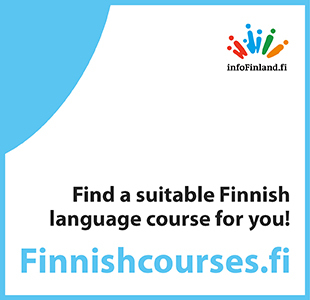 However I quickly found that many Finnish professionals, with impeccable English skills, would not or could not use small talk as a way to develop rapport and use it strategically in business. I have a story about teaching a Country Manager at a major Finnish company small talk. His English skills were advanced (C1) but he needed help with learning the cultural nuances associated with developing true fluency in English. I pride myself on having lessons that mimic real life situations and decided to do that with Antti*. He was a man in his 50s, with a distinguished career as an executive in Finland. His new responsibilities would call for him to use his English on a broader stage with Sweden and other European countries. For our first lesson I began with the weather. It was in November 2011 and the weather was bad. It was a cold day outside and it was snowing terribly. We were seated in a large austere conference room reserved for managers. After introductions I began the conversation, "Hey Antti. Nice weather we're having right?" He looked at me with a confused look, peered outside and said to me with a serious look. "Nice weather? It's terrible weather. Why would you say that?" I knew at that moment I had my work cut out for me. I smiled at him and said, "You're right, Antti, but we're just making small talk. We both know the weather is bad, so all you need to do is agree and make another comment to keep our conversation going"
"Okay. The weather is bad but the snow will give us some light." "Yes, it will and I may be going to Lapland this winter to learn how to ski. They have a lot of snow and I heard it's beautiful". I smiled at him and he sort of smiled at me. At least I think he smiled. "It's nice, but you're black. There aren't many black people in Lapland," he said. After an awkward silence I said, "Thanks for letting me know that. I'll keep that in mind. I still think it may be worth a visit though. Have you been to Lapland lately?" "No, I don't go there. I don't like it very much. It's too far away and I really don't have time to go there at all. My responsibilities keep me in Helsinki and Sweden. Even if I had time I wouldn't go there, but you can go there as a foreigner. Lots of foreigners visit there, but you should go there with a Finn." "Because you're a foreigner," he said with grin. "Ok. Great! I'm definitely going then." "You can go but I don't like it," he said. "When I go I'm going to bring you along as my Finnish guide," I said with a hearty laugh. He started laughing as well. The ice was broken and we were joking about a common subject. I knew that this moment was special because he started to understand that the goal of our conversation was in relating as two guys from different cultures who found something they could talk about and joke about.